What if you could create your own customized decal - Choose the Text you want - The Font you want - The Color you want - And actually SEE it BEFORE you buy! Right on your screen! You can in less than 1 minute! Decal City's Custom Decal Maker allows you to create a wide variety of customized decals. All decals are made of the highest quality materials (7 Year Outdoor Life)! Choose a type of decal below to get started! When you register your boat with your state you will get a set of numbers and letters that begin with your state abbreviations. Most states require decals on both port and starboard side above the waterline. Your boat numbers that are made into vinyl boat registration decals need to be renewed annually through your state DNR. Boat decal letters purchased from decalcity.com are cut from a durable, 2 mil performance vinyl and they come as a set of two, prespaced, one for each side. We have the option for single lettering, just in case you need an extra or a replacement. Get a quick preview of your choices with our decal maker. It is highly recommended to choose a font that is sharp and easy to read from a distance. Block lettering for boat decals is the safest option. Be sure to choose a contrasting color to that of your boat. An outline is a great way to increase the visibility of your vessel lettering. Choose 3" for a custom boat registration number that meets the state required height and 4" for a custom boat sticker that looks great on larger vessels. The 4" size selection is also great for, custom boat names, transom lettering, and port name. Most orders are filled within 24 - 48 Hours. Express delivery is available. Wave Runner, Jet Ski, and SeaDoo registration numbers designed by you in seconds! Get ready for fun in the summer sun with our custom decal maker! Choose from Standard,Metallic and Ultra Metallic vinyl for your custom Sea Doo Registration Numbers. Design your "jetski numbers" with an outline color of your choice for an even more distinct and attractive look. Select from over 100 fonts. Our high performance vinyl will keep your watercraft registration looking like new for years to come. Need watersport numbers before the weekend? Choose EXPRESS for next day shipping! Snowmobile registration numbers are assigned by each individual state. These identifiers must be permanently displayed in the 3" x 7" space provided by the manufacturer on the cowling pan or if no space is provided they must be placed on each side of the snowmobile on the upper half, forward of the handlebars in a visible location. Our custom vinyl numbers and letters meet the requirements of being 2" high with a 3/16" stroke width. You will receive a Set of Two, one for each side of your snowmobile. All states require that the decal of numbers be of a contrasting color to the snowmobile; and the DNR issue validation decal must be placed to immediately follow your custom registration number. All orders ship within 24 hours. If you have specific size requirements for your ORV numbers, please mention these in the comments after checkout. You get to decide the wording, font, and color of your graphic. Design your own vinyl windshield decal and see the results before you buy! With the click of a mouse add an outline or a drop shadow effect to your sticker. We have several high end vinyls to choose from. A great option for car club, circuit racing, offroad, and performance decals. 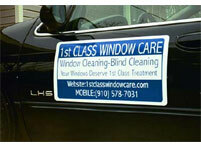 Once you decide, order your custom car front or rear window lettering quickly and securely online. We guarantee our product to hold up for up to 5 years or we will replace it. Free of charge. Custom Window Lettering (Your Name)! Make your own custom vinyl lettering quickly and easily. The size options in this category are great for roll call, nick name, or website decals. Design them online and see the results as you make your custom decal choices! For some extra style choose an outline or drop shadow. Choose colors from our specialty vinyls for sticker designs that get noticed. Then order your vinyl decal immediately online. Custom lettering from Decal City will last for years. We guarantee them for 5 years and will replace any that do not. With the custom design options available at decalcity.com, you can create your own graphic design for your company. Multi-line business lettering. Choose a separate font for each line of information. We have several size options to choose from. Metallic vinyl to make your company logo stand out from the rest. Go with a shadow effect for a more distinct look. With each change you make, you get to see it instantly with our online decal maker. Just moved? Need vinyl lettering for your new address? We can help! Type in your full name and street address. We have several fonts to choose from and a variety of vinyls also. We use a high performance 2.5 mil vinyl, which will help keep your mailbox address decal intact for years to come. Applies easily in just a few minutes. Your vinyl letters come all together on one strip! We provide detailed application instructions with each order. We strive to ship all orders within 24 hours. With the custom design options available at decalcity.com, you can create your own graphic design for your business with our magnetic signs. Choose a separate font for each line of information. We have several size options to choose from. Metallic and ultra metallic vinyl to make your company logo stand out from the rest. Unless specifically requested, all magnetics will be on a white background. Design your Big Rig vinyl lettering online. Cut in the industry standard 2 inch height for 50 feet of visibility. Your DOT numbers will come in a set of 2. One strip of vinyl numbers for EACH side of your truck. If you are an over the road trucker and need numbers for several different states. Our Multiline option really saves you money. Only $4.00 extra for each additional line and we have four additional lines available. The premium vinyl used for our commercial lettering is guaranteed for 5 years. Our vinyl graphics and lettering will not fade like paint. It will not crack and shrink like most inferior vinyl. All US Dot registration stickers ship within 24-48 hours. Own a trucking company or just getting in the business? We save all orders so as your increase the size of your fleet, we can reproduce an exact match for your letters needed for your new trucks. Also be sure to check out our custom business lettering to design a professional logo for your semi door panel. A great way to advertise your business and your services!